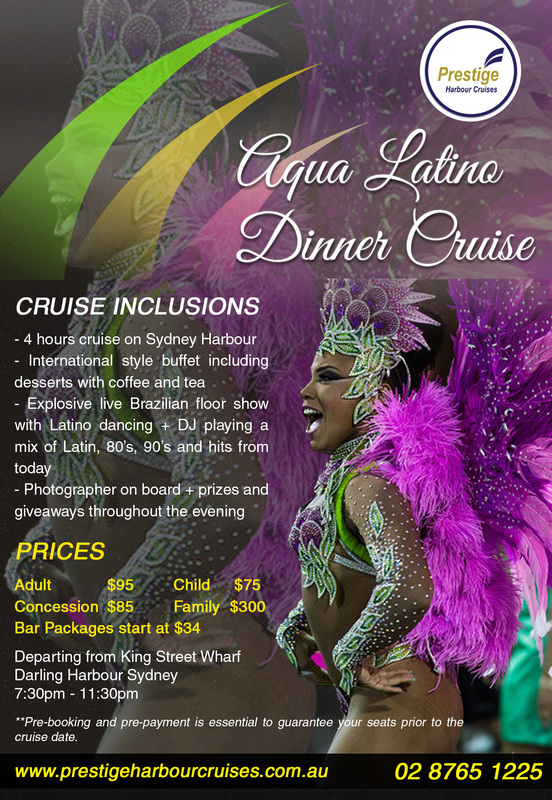 This 4 hour cruise in spectacular Sydney Harbour offers allocated indoor seating, international style buffet freshly prepared by the chef on-board and an explosive live Brazilian floor show with Latino dancing, plus professional DJ for all night entertainment. 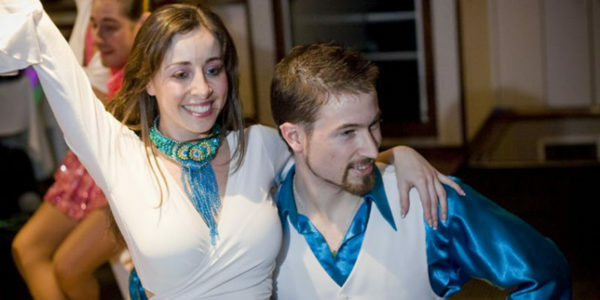 Optional audience participation with Latino dance lessons, competitions and prizes. Great way to be entertained whilst enjoying the Sydney harbour lights. 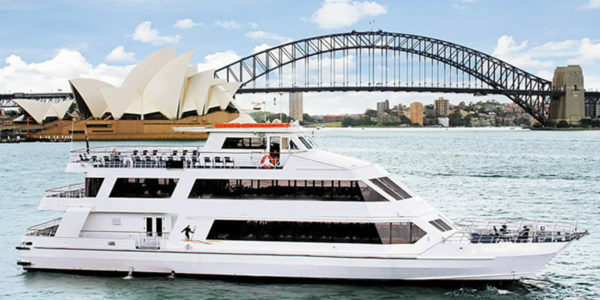 Ideal for sightseeing and celebrations. Prizes and giveaways – Lots of fun!